Atmosphere's head honcho, Nico Morano, is finally back with an EP on his own imprint. We are thrilled to present this double track EP with two powerful tracks for those peak-time moments. 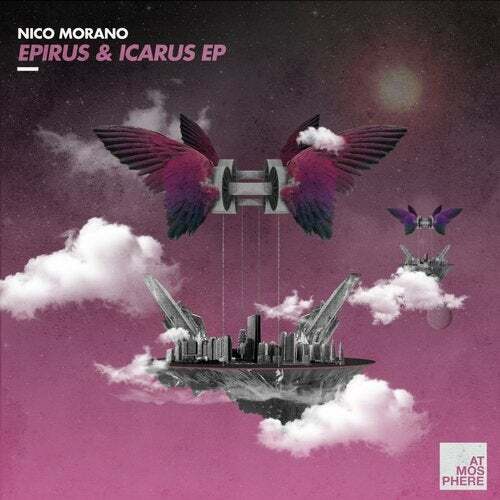 Epirus has been tested on numerous occasions by Nico himself and those wrecked dance floors are the proof that this might be his most forceful track so far. The chords working nicely together with that mysterious melody on a techno-ish kick & bass combo just does the trick. And then we didn't talk about that break yet! Icarus is a track full of emotion, as the famous Greek legend, this track tells a story with a lot of tension and feel for drama. The song starts with a long dj-friendly intro, slowly building up into a dramatic break with heavy distorted synths towards an energetic dance floor oriented drop powered by a most effective arpeggiator sound.